Arizona laws indicate that intoxicated drivers who cause accidents that kill or injure someone else are subject to paying punitive damages. These injuries go above and beyond simple negligence because laws were clearly broken by the driver who was operating a vehicle under the influence of drugs or alcohol. Victims could be entitled to some forms of additional compensation which is to serve as a deterrent to prevent the DUI driver from committing a similar offense anytime in the future. Additional damages can be characterized as punitive damages. Because of the deplorable actions of the DUI driver, he or she might be required to pay even more in compensation to the victim(s) because of their wrongdoing. The drunk driver might also face additional legal punishment in Arizona for driving under the influence — including fines, jail time and even the loss of driving privileges. 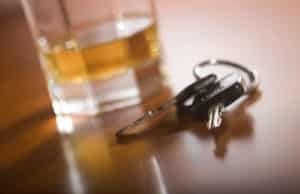 What Should I Do If I’ve Been Involved in a DUI Accident in Phoenix? You should immediately check to see if anyone was hurt. If there were injuries, you must immediately call an ambulance and the police. If possible, try to stay with injured people until help gets there. If at all possible, you should try to move your vehicle out of harm’s way so that you’re not creating an additional safety hazard by letting your car obstruct traffic. Makes sure you talk with all other drivers involved in the crash so you can trade information such as names, addresses, telephone numbers, insurance company name, and insurance policy numbers. Make sure you call the local police or law enforcement right away so they can complete a report. Afterwards be sure to call your insurance company. Don’t ever leave the scene of the car accident. When talking, you should never admit fault or take responsibility for the crash. Don’t provide any written or recorded statement to any insurance company at any time. How Important Is an Experienced DUI Accident Lawyer? DUI accidents can cause serious injuries. These injuries can lead to excessive medical bills for ongoing treatment, surgery, prescription medications, and any physical therapy or rehabilitation. Victims injured in DUI crashes can also incur lost wages and possibly even lose employment because of disabilities or the severity of injuries. Drunk driving accident victims deserve caring, compassion and understanding. These victims need experienced and competent legal representation in Phoenix to help the recover damages they are entitled to receive for their pain and suffering. Phoenix accident lawyer Nathaniel B. Preston understands what you are facing after a DUI accident. Nate will counsel you about your different options and will help you make the right decisions regarding your personal injury case. Nate is dedicated to helping clients who have suffered injuries get the compensation they deserve. Your initial case consultation is completely free and you don’t pay Nate a cent unless he recovers money for you during the claims process. If you or someone you love has suffered injuries because of involvement in a DUI accident in the greater Phoenix area, contact Nate right away to set up your free initial case evaluation. You can do so by filling out the online form or by calling his office at 602-652-2009.